Thinking about a vacation home in Mexico? Call me to discuss these opportunities and I will be happy to hook you up with the Local Expert! 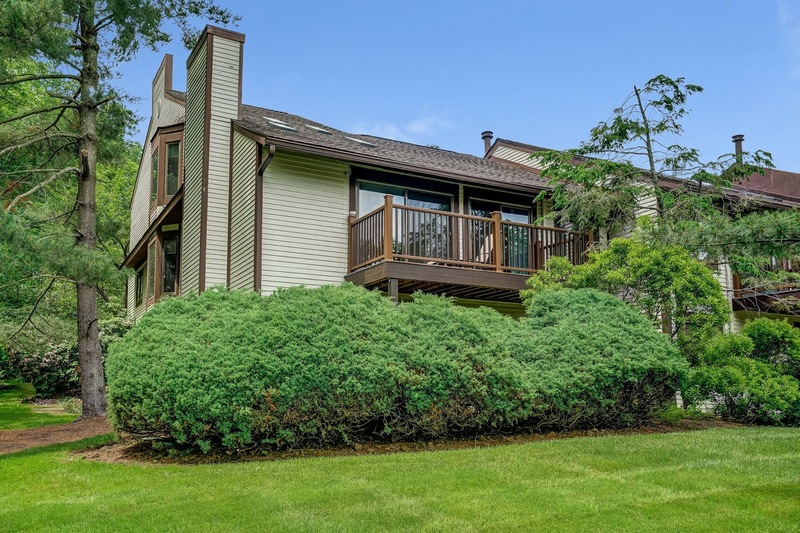 If you are looking for true luxury and a private cul de sac then 50 Tillou Road West in South Orange has your number. architectural details from floor to ceiling fill this home with elegance, comfort, and style. chef-worthy appliances set in a step-saving space. beautifully landscaped property, you’ll have plenty of space for active play and gardening. 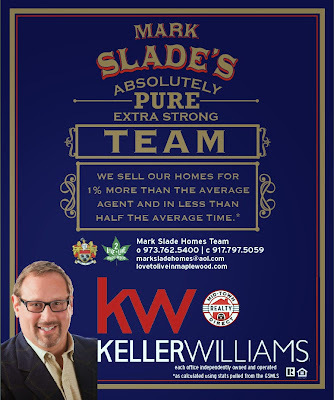 Mark Slade’s unique educational background – he studied economics, fine arts and urban studies – turned out to be the perfect fit for a career in real estate. 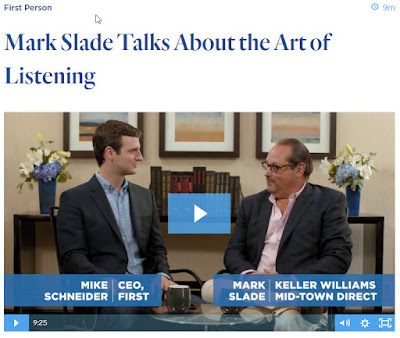 The head of the Mark Slade Home Team in New Jersey, he sat down with First to talk about effective listening and building relationships. · Be purposeful in how you build relationships. Listen to your customers and connect with them in relevant ways. · Like to use promotional items? Make it unique but also make it useful. · Top-notch service is the key to sales and you can’t provide it if you aren’t listening. 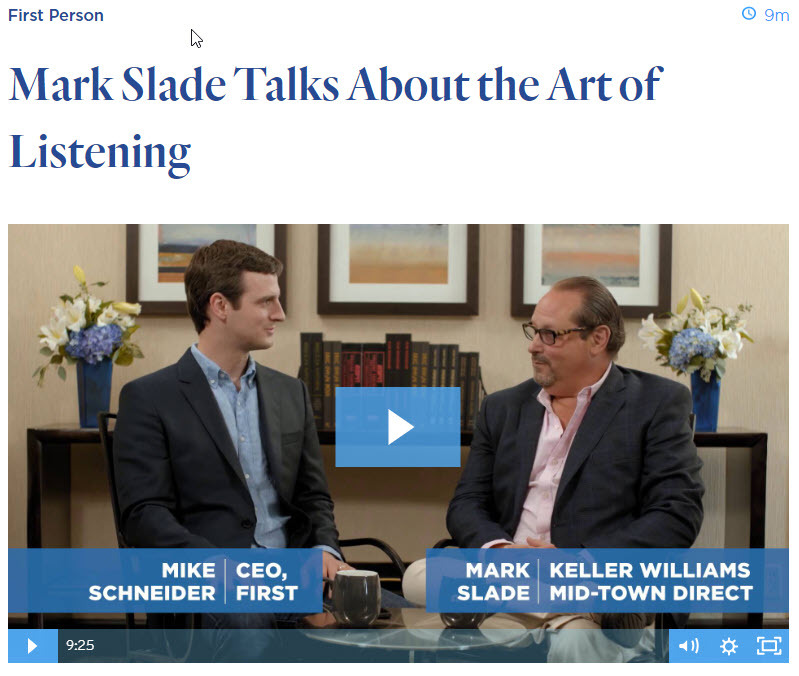 Mike Schneider: Welcome back for another episode of First Person with Mark Slade of the Mark Slade Homes team. We're going to talk a little bit about relationships. Mike Schneider: So, how'd you get into real estate? 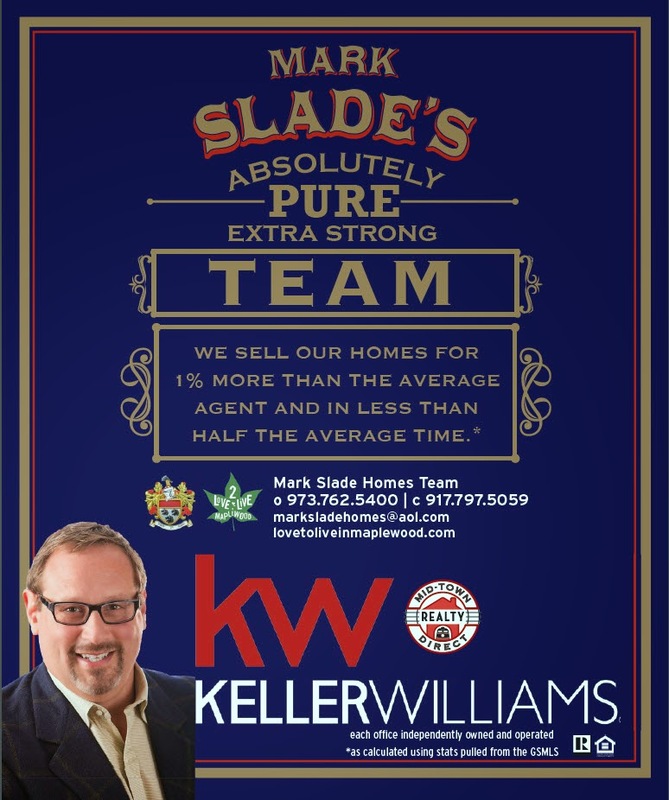 Let me hear a little bit of your arc and how'd you get to Mark Slade Homes team? Mark Slade: Okay. So, as I said, my first job was Macy's and I went through the training program. I worked my way up and ended up buying Men's Underwear and Hosiery, or as I like to say, Socks and Jocks. It's a little bit more fun. And ended up just going to the other side of the fence, as we call it, and going into wholesale. Mark Slade: I worked myself up to an executive vice president, only to find that the industry was imploding. So, that first EVP job lasted about a year and a half, and I was forced to look for another--another year and a half EVP. And then finally a third. And then I got a little tired of the same thing happening, which is working for these companies, helping them reposition and almost turn them around, only to find myself two out of the three times being the recipient of the 'bye-bye' when they were selling to the Chinese. After the third time, I kind of got a little tired of it, and said it was time to reinvent. Mark Slade: And I combined the fact that I've always-- I have degrees in fine arts, economics, and a minor in urban studies and everyone said, "Real estate, real estate, real estate." And I said “Yeah, well I wanted to be an architect at one point," so this was kind of a good way of maybe getting into it. Mike Schneider: Get into it. Yeah. Mark Slade: Didn't want to give up my weekends, but, uh, this year I'll do forty million. Mark Slade:: So I guess it was worth giving up my weekends. Mike Schneider: Yeah, turned out great. Mike Schneider: So, everyone talks about this being a relationship driven industry, and stats show 78% of transactions come through relationships. But what does that actually mean? How do you run your business with relationships? Mark Slade: Well listen, you hear people say, "Throw spaghetti at a wall." That's really not purposeful. That is just going through the motions. So, if you're purposeful, in my book, that means you're working towards building a relationship. It means you're listening, which is key. It’s like, when I give closing gifts, for me, the closing gifts – I loved-- I don't care what I'm spending. Mark Slade:I mean, I know, I know the government only lets me write off $25. Mike Schneider: Yeah, yeah, yeah. Mark Slade: But I really don't care. I want to find something that really makes sense and it's relevant to those people. Mark Slade: You asked me about my first listing. They were also my first buyer clients, and he wanted to be a chef, you know, as a fun hobbyist. And I went out and I bought him a whole set of Wusthof Knives cause I like to cook and I have Wusthof Knives and, you know, a friend of mine told me those were the ones to get. 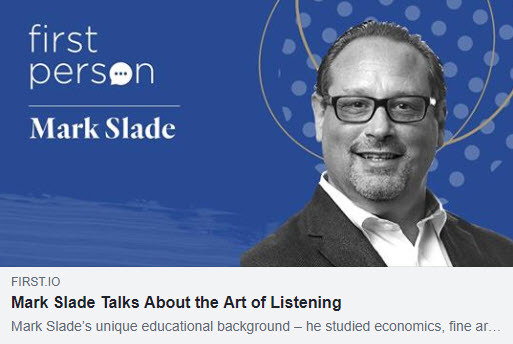 Mark Slade: So, looking for ways to connect, to be relevant, to listen and befriend them in a way is how I look at building relationships in real estate. Mike Schneider: Wow. Well, one of the things we like that's challenging in that is, you're doing forty million which is amazing. You must have hundreds of past clients and thousands of relationships. You know, what are some of the challenges with that? Mark Slade: Keeping up with all of them. Mike Schneider:: Yeah. How do you do that? You can't have a relationship with hundreds of people. Mark Slade: So, for instance, what I try to do, at least first year home anniversary, is I try to make sure I do personally go and visit at least the people that I personally handled. I mean, I do have a team. Mike Schneider: Sure. But, you'll actually go visit them. Mark Slade: Go visit them, if it's not me, and it's somebody on my team, I will give them a bottle of champagne or something to go out and just say, first year home anniversary. Mark Slade: If I got close enough to them that I know their birthdays, as Molly (First’s VP of Marketing) could tell you I dropped off cookies for a birthday. I just actually bought a series of car vent magnets that I branded for your cellphone. Because for me, unfortunately, the cellphone is always in my hand. Not a good thing to be doing. So, I will be giving these out to past clients, either dropping them off or at least sending them in the mail. Mike Schneider: You might save some lives. Mark Slade: Yep. I might save my own life. Mike Schneider: Yeah, that's right. Mark Slade: But I'm always looking for some little premium, promotional item that I can brand that I think is useful. Mark Slade: I mean, you know, we just walked the floor downstairs. Every booth has a pen. Mark Slade: I mean, how many pens do we really need. But finding something that's more unique that, that is useful, even if they don't use it, they can pass it along, and I will put that in a note. Mark Slade: If you already have something like this, then please pass it along to someone who does need it. Mark Slade: And I learned this because I had a team meeting for my crew and I was talking about cellphones and I had to explain the rules in New Jersey and how even if you're holding it, not using it's a violation, and you get ticketed. And so, I gave them all magnets. You know? Mike Schneider: That's awesome. I'm sure you've had this-- we've all had this happen where, you realize somebody may be thinking about selling or something like that, but you haven't talked to them in two or three years. How do you spark that conversation again? Mike Schneider: How do you re-engage that relationship if you haven't followed up with them? Mark Slade: So, the key is, you just said, if I know. Mark Slade: So the question is, how do I know? Mark Slade: So if I know through somebody, then I would like a LinkedIn connection, you'd try to use that to make the introduction, which makes it a little bit easier. I'm a little bit more passive that way than super aggressive. Mark Slade: However if I don't know them that well or if I don't have the ability or the time, because timing is critical 07:00 then I might put together, you know, a quick pre-listing packet and include a book that I've written on how to sell your home for the most money. Mark Slade: And FedEx it to them or drop it off in a FedEx envelope and say, "I'm sorry I missed you," but try to get in front of them in that way. Mark Slade: And make that kind of connection. If I don't pursue them because I'm being too timid then, you know, as the old expression goes, 'Nothing ventured, nothing gained.' I will venture so I can gain. Mike Schneider: Yeah. Cool. I'd be curious-- you've clearly had great success. You know, do you have one or two pro tips on deepening relationships? Mark Slade: Well, it's just listening to who that person is. Finding out what makes them tick. Finding out, you know, where you can connect. Like, I grew up in Massachusetts so I happen to be a Patriots fan, a Red Socks fan all that, including my birthmark which is a Red Socks logo. Mark Slade: But one of my clients, I had no idea until after I posted that I was at a Giants, Patriots game that he was also a fan. So, yesterday somebody was selling tickets. I bought tickets to give to him. And I know that it's going to go super long because it's something that he's a fan off, which is even more a point. Mark Slade: By giving him something that, you know, hopefully he'll embrace because of his fandom, I will be included in that fandom. Mark Slade: And that's what I want to be able to do. Mike Schneider: And you'll be able to continue that conversation for years. Mark Slade: That is correct. 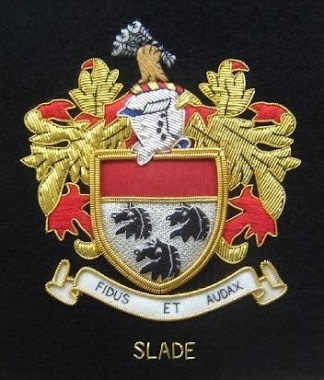 Mark Slade: Plus, I get to go and watch my game. Mike Schneider: That's right. Yeah, you were going anyway. That's great. Any last thoughts on how relationships fit in with real estate and, and growing a team? ‍Mark Slade: Well, the trick is that some people view relationships as sales and they are but to me, sales is really providing top-notch service. And, you can't provide top notch service if you don't listen to your clients. Mark Slade: I mean, like, I like to text. Okay? I have a client that told me, "No, Mark, I want only email. "So I would email Gary. And finally, by two thirds of the way through the transaction, he was texting me. But not because I was texting him. Mike Schneider: That's right. You listened. Mark Slade: But I listened to him. I mean, that's not my preferred way to communicate. And he was appreciative. It has to start with listening. And then, once you listen, you get to learn. And once you learn, then you know how best to service the client. And if you service them, you've developed a relationship. Mike Schneider: That's great. That's a great reminder when we talk about relationships driving the industry. It's not sales, it's service. We're here to serve and so when you have relationships, and you can provide the value to people you know and who know you and like you? Mike Schneider: That's a great business to be in. Mark Slade: I love it. Mike Schneider: Well, thanks for sharing some of your wisdom. Mark Slade: Oh, my pleasure. Mike Schneider: I really appreciate it. Mark Slade: Thank you so much. 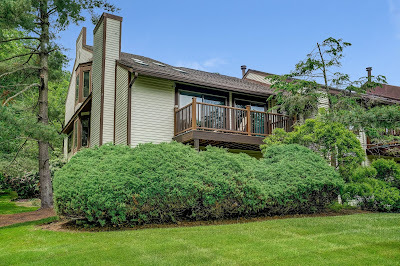 Stunning luxury 3 bedroom, 4.1 bath home loaded with upgrades. 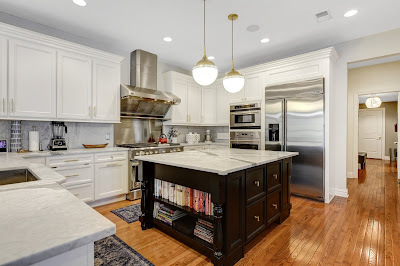 Renovated Designer Gourmet kitchen with marble counters, white cabinets and stainless appliances. Plus, Butler's pantry with wine fridge. Master suite with sitting room and marble bath. Moulding and hardwood floors throughout. Completely renovated basement with guest bedroom, full bath, office, recreation room, den and gym/exercise room. Luxurious covered patio off the great room with flowing curtains and an additional patio area for entertaining. Elevator shaft on all 3 levels. 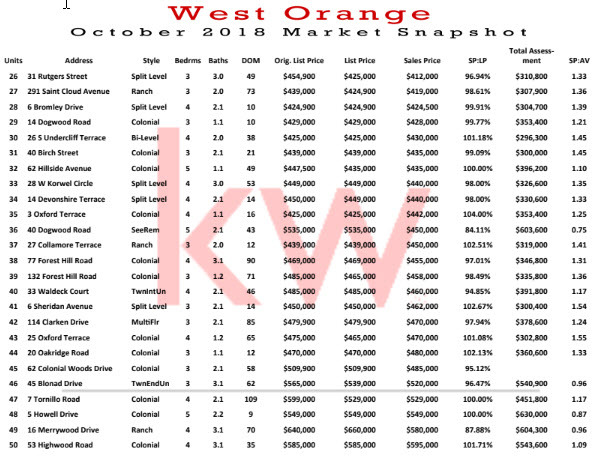 In South Orange as of November 5th, there are a total of 65 Listings for Sale. 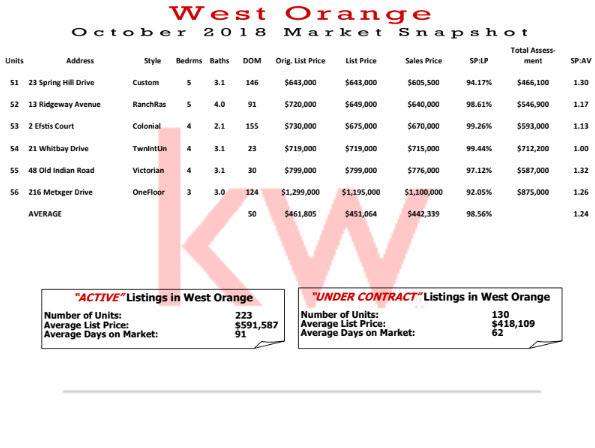 The good news is that 9 of these properties are showing as having accepted offers. 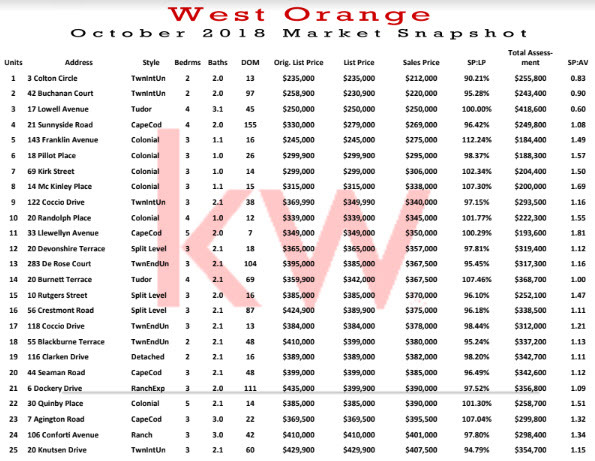 The not so good news is that 22 of these properties—over 1/3 of the actives on the market—have had their prices reduced by as much as 20%. Interest Rates are on the rise and the stock market has been a little jittery. 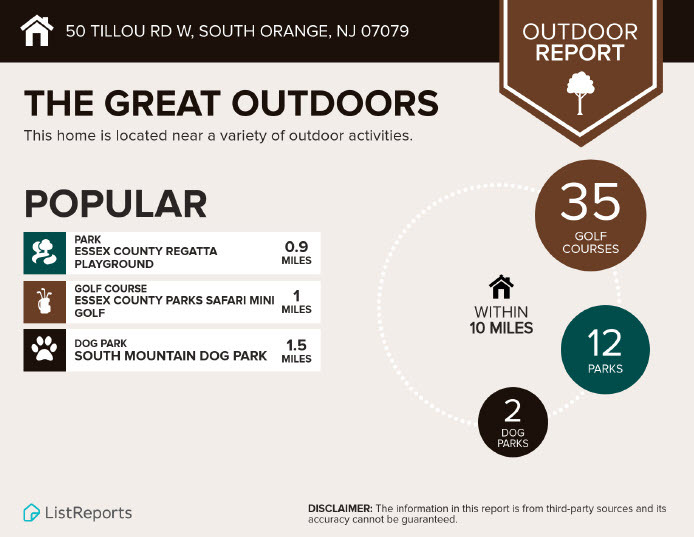 Yet, Jeffrey Otteau, NJ Real Estate Expert and Leading Appraisal Company for the State of New Jersey expect the market to stay healthy enough for another 18 months. He claims we should expect to see a slowing of the rapid growth rates in prices, but we shouldn't expect to see overall declines for a time. 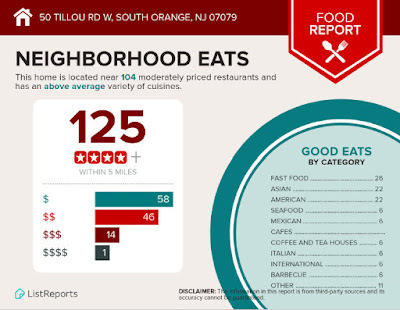 He claims RIGHT pricing is even more critical now, more than ever. In the meantime, if you are listed on the market, what should you do? 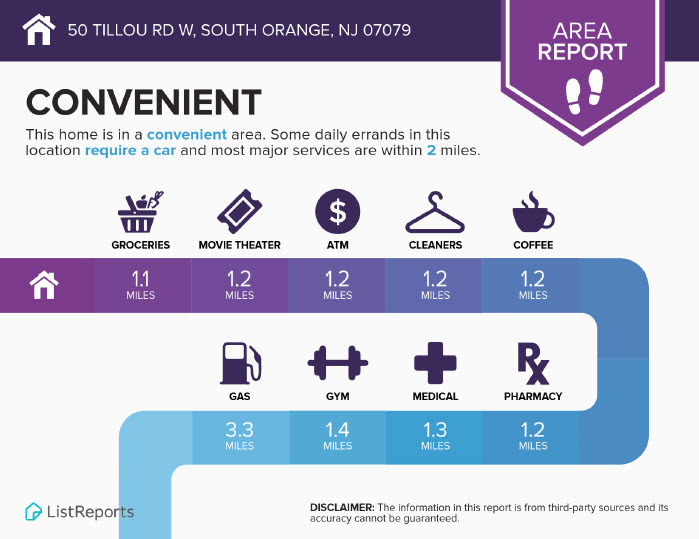 Here is an example of a situation and the advice is quite spot on—run the numbers for your particulars. 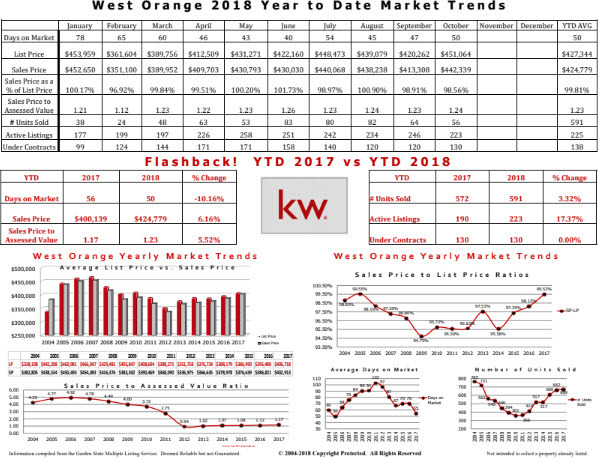 In the early 1990s, the luxury market in Beverly Hills, Brentwood and Bel Air took a 33 percent drop in about six months. In the midst of this price plunge, one set of buyers offered $1.1 million on a property listed at $1.35 million. The Seller countered at $1.325 million and told the buyers they were firm on that price. 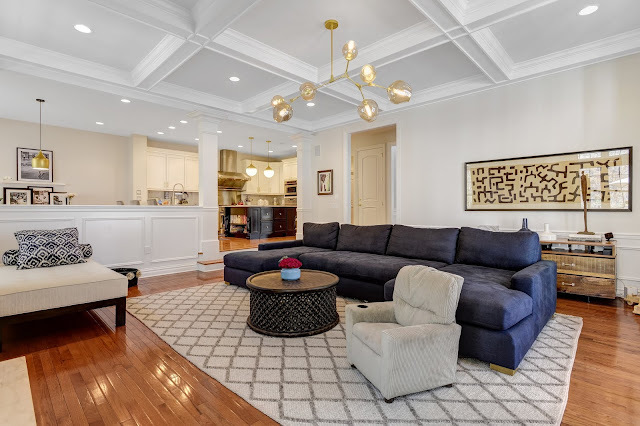 The buyers raised their offer to $1.125 million but advised that they were unwilling to go any higher because prices in the market were declining so quickly. The Sellers advised that they would wait for another offer. At that point, research showed that there was about 60 months of inventory on the market in that area — that’s the equivalent of five years of inventory, based on the total inventory and the rate at which the number of homes were being sold. 1. 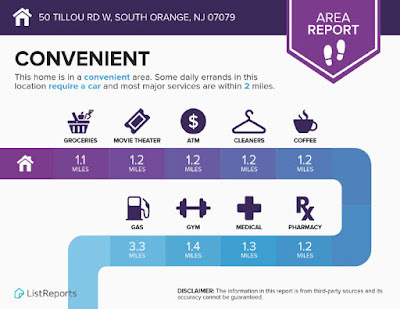 The rate of absorption was 1.6 percent (1 sale every 60 months). In other words, the probability that the property would sell was 1.6 percent in any month, and the probability it would not sell in a given month was 98.4 percent. 2. At the time the offer was submitted, the rate of decline in prices for the previous six months was 3 percent per month. Consequently, each month their property stayed on the market, it was losing $40,500 in value ($1,350,000 x 3 percent). 3. As an example, if it took them another six months before they received their next offer, their property would have declined by $243,000 and would be worth $1,107,000, $18,000 less than the buyer was offering. 4. In addition to the price decline, they also had the carrying costs including property taxes, insurance, HOA fees, etc. After careful consideration, or reconsideration, the Sellers recognized the risk, and the transaction closed at $1.125 million. To prosper in a down market you must be able to show your sellers the benefits of selling now and locking in a price rather than taking the risk that their property will be worth less if they wait. Working with the rate of absorption and the months of inventory on the market is one of the most effective ways to do this. Cited example above was shared by Bernice Ross, President and CEO of BrokerageUP (brokerageup.com) and RealEstateCoach.com, is a national speaker, author and trainer with over 1,000 published articles. Learn about her broker/manager training programs designed for women, by women, at BrokerageUp.com and her new agent sales training at RealEstateCoach.com/newagent. Who Owns the Statue of Liberty???? I stumbled upon this fun historical video that lets you know which state--NY or NJ--owns the Statue of Liberty. I'm so glad that selling real estate doesn't get as complicated as dealing with ownership of a National Icon. Although, every 1-2 transactions out of 100 end up with survey (boundary) issues, just so you know.